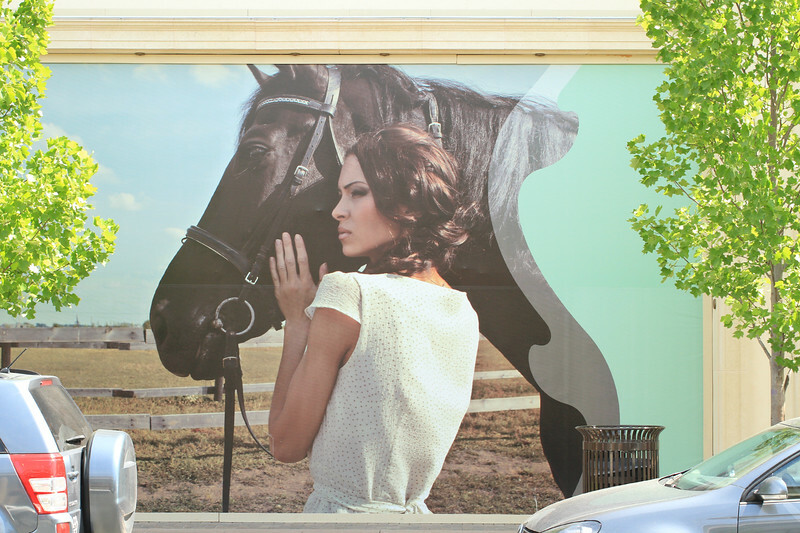 Terrific photo on the wall...I almost thought you'd photographed the girl and horse yourself! Interesting mural / billboard. It has me puzzled as to its purpose. Amazing shot, such a beautiful mural! Great shot of a super mural.